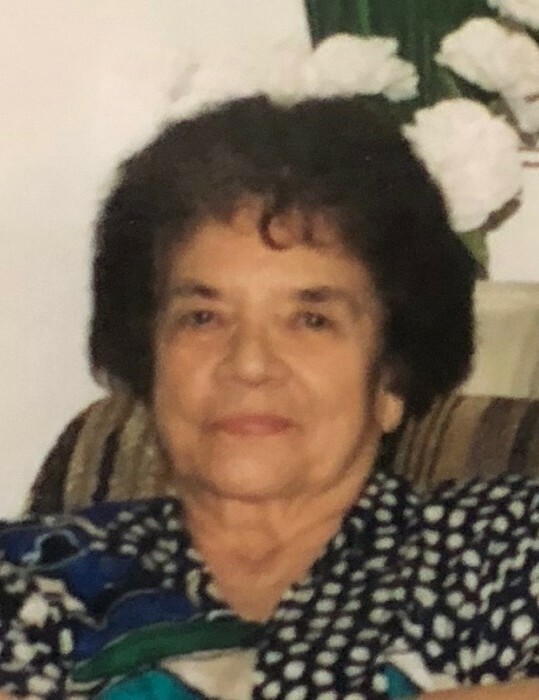 THELMA DOMINGUEZ SEGURA died peacefully on September 11, 2018 at the age of 98 years in Albuquerque surrounded by her loving family. Thelma was born on October 10, 1919 in Clayton, New Mexico. She is preceded in death by her husband of 50 years Neno Segura and son Thomas and Dora Segura. Thelma is survived by her children Samia and Jerry Davis, Floyd and Stephanie Segura, Neno and Victoria Segura, Nina and Ken Gallegos, Ginny Loucks, and Michael Segura. Thelma is survived by her 13 grandchildren: Anthony and Cynthia Segura, Neno and Brenda Segura, Cathy and Ross Hipple, John and Melanie Davis, Eric and Gina Segura, Erin and Antonio Perez, Nathan Segura, Lara Segura, Traci and Will Wing, Kenny Gallegos, Chris Loucks and Amy Armbruster, Jesse Loucks, and Laina Loucks. Thelma is survived by her 15 great grandchildren Stephen and Samantha, Geoffery, Devon and Lauren Angel Segura; Branden Segura; Zach, Tyler, and Kayleigh Hipple; Christian Armbruster; Logan and Serenity Perez; Eli and Sierra Segura; Kenzie, Tanner, and Rylee Wing; and her great, great grandchildren Adara and soon to be born Thomas Segura. Thelma lived most of her life in Los Alamos, New Mexico and worked many years at Los Alamos National Laboratory as a computer operator. Thelma was known as a gracious, sweet, kind, and humorous person and will be missed by those who knew her. A Memorial Service will be held on Friday, September 28th at the Wyoming Boulevard Daniels Funeral Home at 11:00 am.